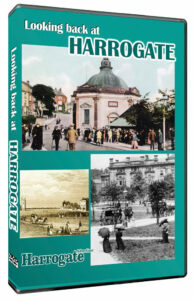 This new DVD presents a fascinating look back at bygone Warrington. It looks at the changes that have taken place since the mid 19th century, and also recalls many important events in the town’s recent past, such as, the opening of the Town Hall, the unveiling of the Golden Gates, the first and last days of the electric trams, the opening of the Ship Canal, the visit of George V to officially open the new bridge, and the celebrations to mark Queen Elizabeth’s coronation. 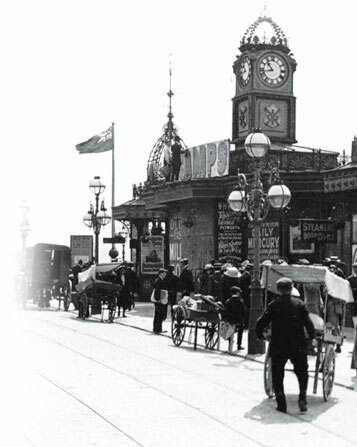 It also gives some intriguing glimpses of everyday life in the Warrington of old, including, conditions in the town’s Victorian slums, boating on the Mersey, Sunday afternoons in Bank Park and Walking Day in times gone by. We also discover why Queen Victoria’s refusal to accept a gift was Warrington’s gain and how Oliver Cromwell came to stand in Bridgefoot. In a special feature on Warrington at war, the DVD recalls the heroic actions of the ‘Warrington Pals’ and the terrible price they paid in World War 1. In World War 2 we remember the terror wrought by German air raids, the major roles of Burtonwood and Risley in the war effort, and what happened when the first American soldiers arrived in town. 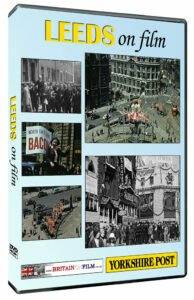 The period is brought to life with contemporary reports from the archives of the Guardian, a wonderful selection of old photographs, and a fascinating collection of evocative cine-film. This entertaining journey through time is produced exclusively for the Warrington Guardian. It is narrated by award winning actor, Howard Ellison. The running time is approximately 50 minutes.